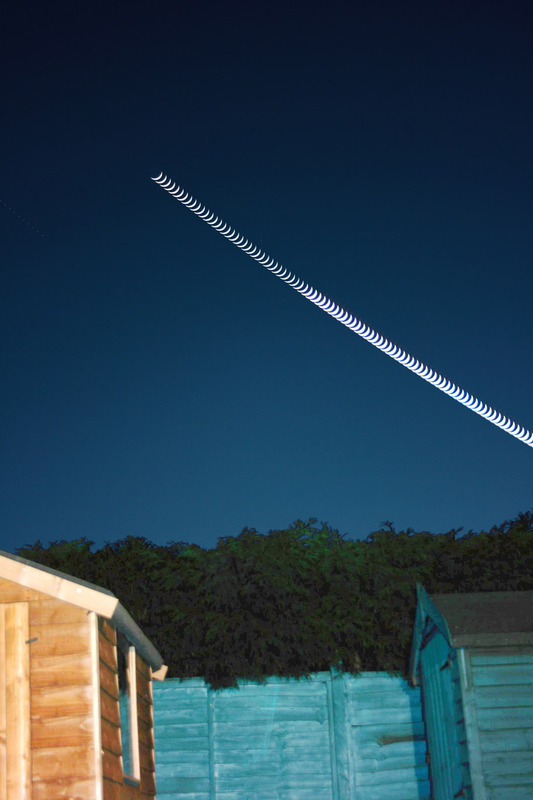 This time lapse image by Chris Newsome shows the moon setting from his back garden on the 29th March 2009. It is a stack of 87 one second frames taken on a Canon 400D camera at 200 ASA with a 35mm lens. Chris also made a video of this moonset which can be downloaded here (1.3 MB WMV file). 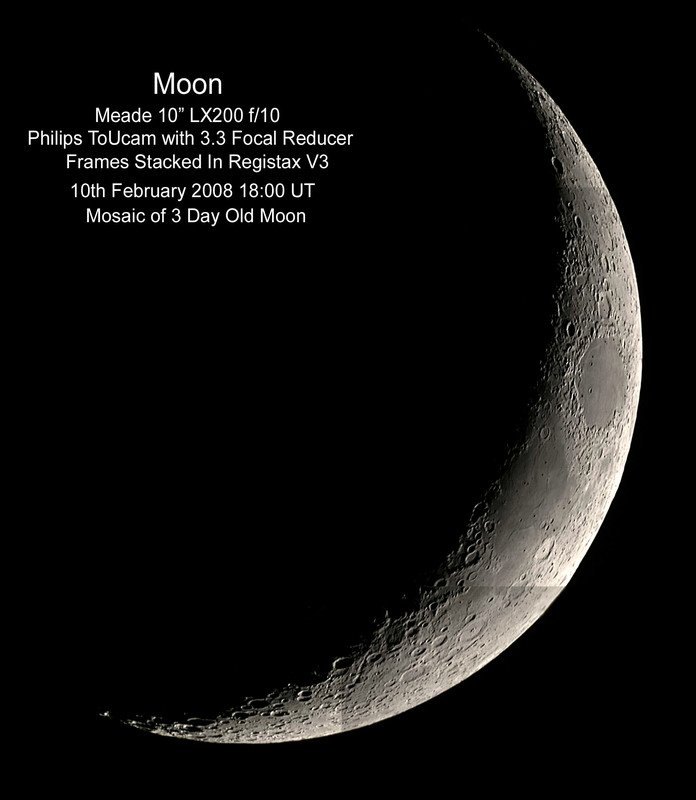 Barry Ashforth assembled the following mosaic of the Moon from seven images collected on the 10th February 2008. You will have to scroll to see the whole mosaic. 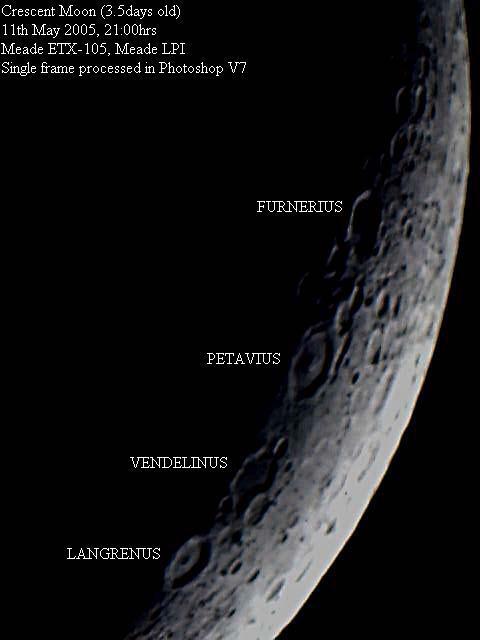 Chris Newsome took the following close up of the 3.36 day old Moon on the 9th July 2005 from Basingstoke. 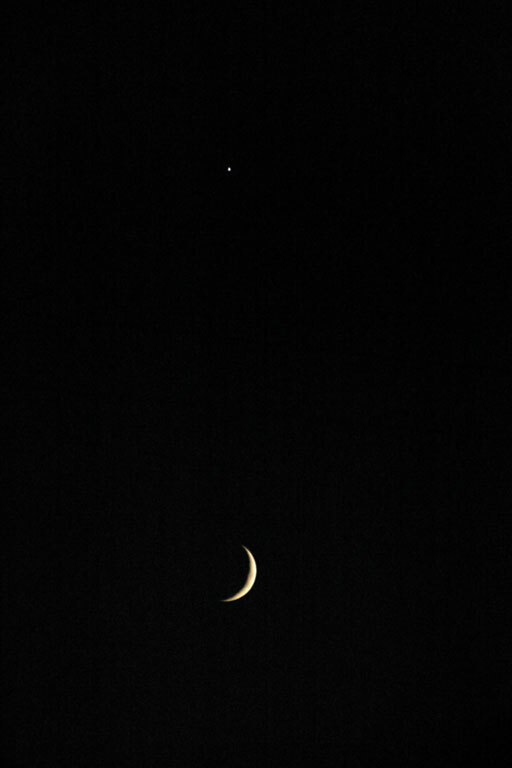 Chris Newsome took the following shot of the 3.5 day old Moon.